FullDensity Densifying Spray Treatment is rated 5.0 out of 5 by 4. Share https://www.matrix.com/biolage/advanced/fulldensity/fulldensity-densifying-spray-treatment FullDensity Densifying Spray Treatmenthttps://www.matrix.com/~/media/images/product-images/biolage/advanced/reno/biolage3771_advanced_full_density_treatment_2.jpg Expands hair to give a thicker feel and reduce breakage. Expands hair to give a thicker feel and reduce breakage. 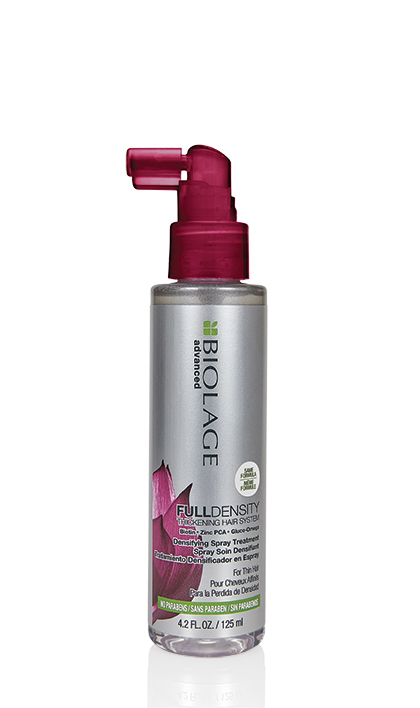 BIOLAGE ADVANCED FULLDENSITY Densifying Spray Treatment works on the surface of existing strands after just one use. Take the Biolage Diagnostic Tool! Apply onto hair beginning at scalp in sections. Massage gently at roots and work through ends. Do not rinse. For maximum thickening results, allow to dry then reapply. Style as usual. For maximum performance, use the system of Shampoo and Conditioner to significantly reduce breakage for fuller-looking, thicker-feeling hair. Rated 5 out of 5 by Andi333 from Wow! Amazing product. 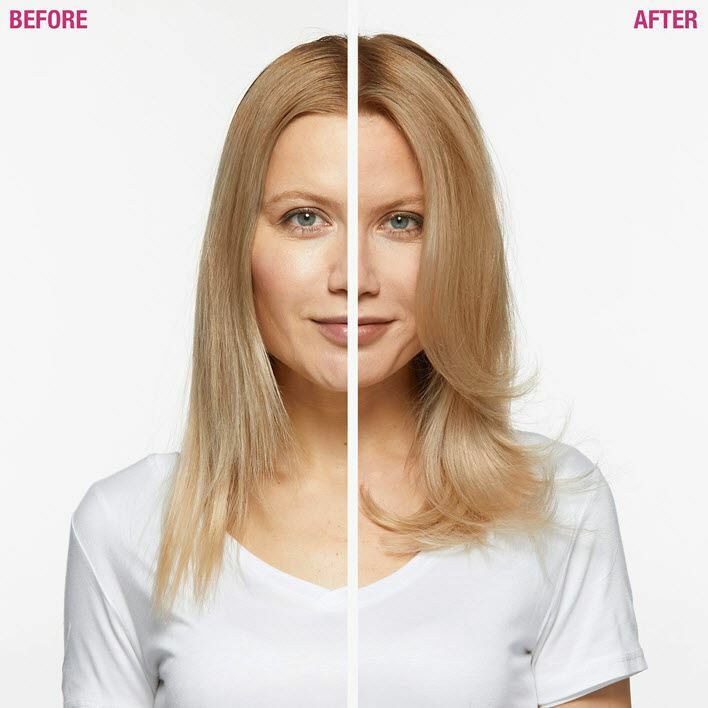 I have really fine, thin hair which was looking dry, a little dull, and low in volume (flat). I walked around the hair product shelves with my phone reading reviews. I settled on the three Full Density items - shampoo, conditioner and spray treatment. To my amazement, my hair volume appears doubled, and the shine is amazing! It looks healthy already. I really can't believe how my hair looks. Thank you for developing something that works! Rated 5 out of 5 by Eileen68 from This product is phenomenal! I have a full head of hair but the individual strands are very fine. I've been searching for a couple of months for a product that would make my hair look & feel less "fly away". I've used volumizing shampoo, conditioner, and styling products for several years but the texture of my hair seems to be changing. So, I decided to try the Full Density Densitying Spray Treatment and I am thrilled! This spray-on treatment makes an immediate difference in the texture of my hair when I use it daily. It's a great product! Rated 5 out of 5 by Laistro from Amazing product! This stuff works! Love it! I would defiantly recommend this product! Rated 5 out of 5 by Blondeonpurpose from THIS STUFF IS A GAME CHANGER! !1 LOVE IT!! Does what it says. I have thin fine hair and looklike I have twice as much now. I put it all over my scalp after washing my hair then my other products and blow dry. I can't believe the difference. Just get it!! !